I am writing this letter to you to share the great joy and happiness that I found when introduced to one name, that I will be happy to give away to you at the end of this letter. You have known me and my opinions on elegance and originality of the spirit for a very long time and that is why I am sure my today’s announcement will certainly surprise you. Yes, as you may suspect, I fell in love! But not after a week or one month, but at first sight, during which an indescribably colourful positive energy, impossible to resist, jumped between us. I had never thought that right at the first meeting, my ratio would be overwhelmed with such a strong emotion! I would think, after many dissapointments, that I will not manage to get my imaginations of a relationship fulfilled anymore, a relationship connected with natural nobleness, originality of ideas and that the vision of colourful shades of life will forever remain just my vision. You can not even imagine how happy I am to have been proven wrong. I found the connection of spirit and substance, an amazing element, that magnifies originality and uniqueness of every single woman in each and every of its forms, is not subject to cheap commercials, that are being called trends, is always timeless, unmistakable by its character, and ready to be with me anytime, be it during the daytime in occasion of my working obligations, or in the evening in occasion of social events. Dear girlfriend, I could write several sheets on this meeting yet, but you will easily presume everything unspoken when pronouncing the name – Bambas. 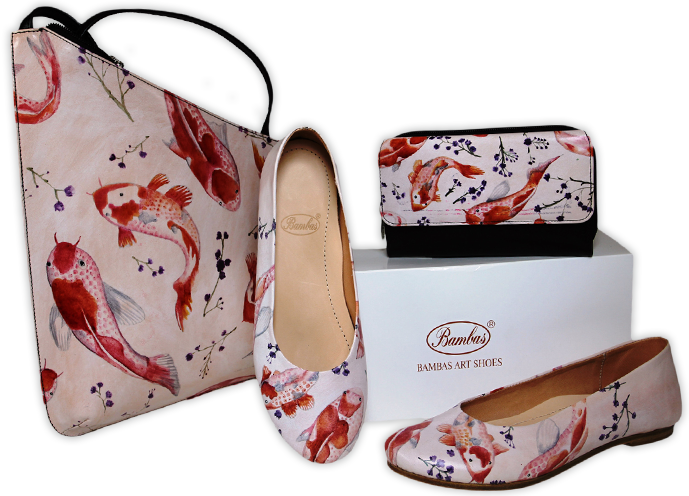 All of the art designs of our production are created by way of hand painting. This is the only way for the original of luxury to be born. 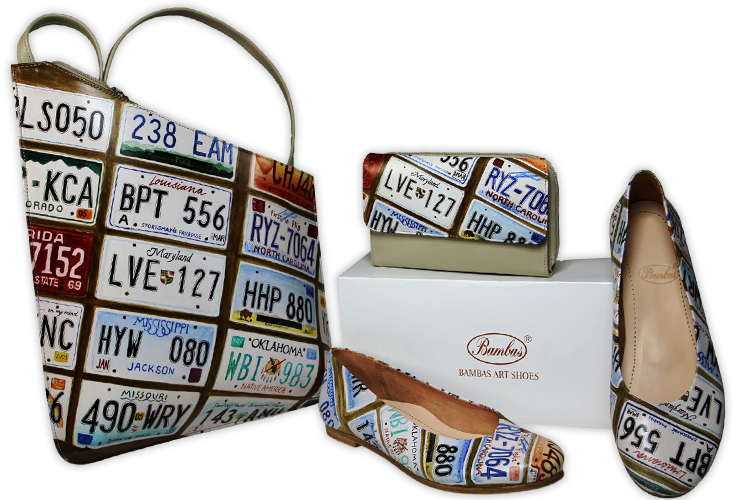 The skin, of which these originals are being produced by the Bambas studio, do not contain any heavy metals such as chrome or lead. Everything is unique in the nature. 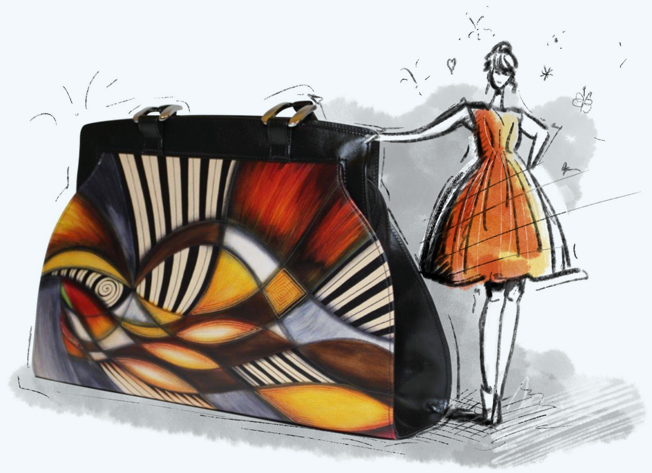 Each skin that we use has a unique structure and turns every handbag into an original. Nature, idea, hands. And your emotions. This way, you can be assured that it is truly yours. 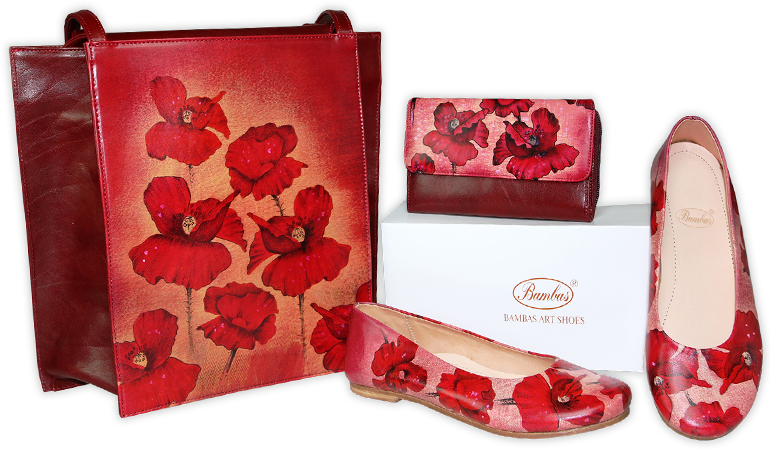 The shapes and designs of the handbags made by the Bambas studio will satisfy both the admirers of conservative shades and the women who prefer expressive colourful combinations and types of handbags. 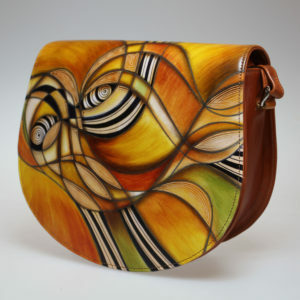 Since it is all about artistic masterpieces in both cases, the value of such a handbag is timeless. 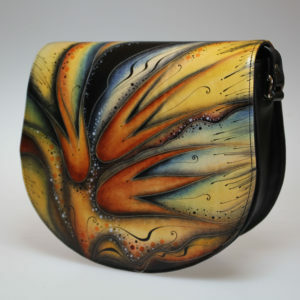 Some types of handbags have already had, namely for these characteristic features, its place on the list of constantly desired handbags for decades. 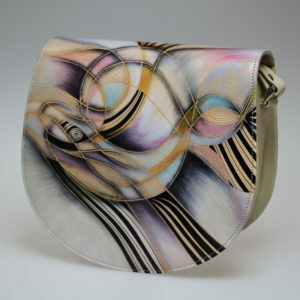 Types of handbags, their artistic motives and skin colours are determined to be combined with one another. They are always different, since they are just original. 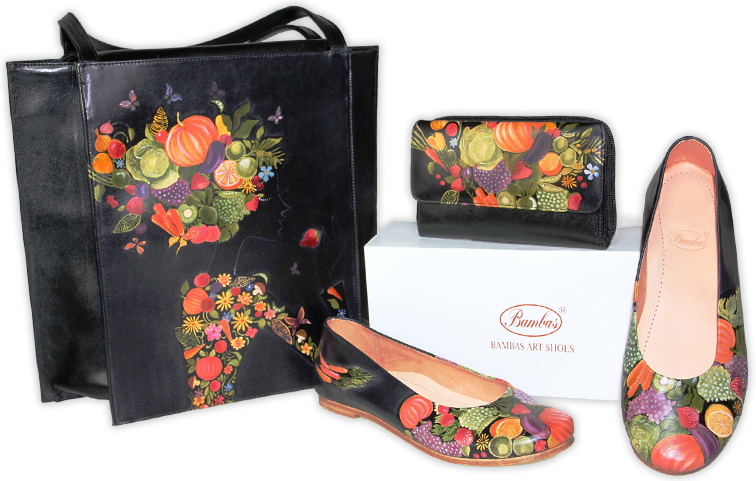 Every woman will find a girlfriend for life in a handbag made by the Bambas studio. Would you also like such an original? What are the experiences of our faithful customers? Read their comments and reviews. Atelier BAMBAS, s. r. o.